“It’s fantastic news that the company has chosen Belfast to build a 45 metre passenger vessel using a design based on the America’s Cup catamaran yacht. To begin there will be 35 high-skilled jobs created but a clear ambition to expand rapidly. 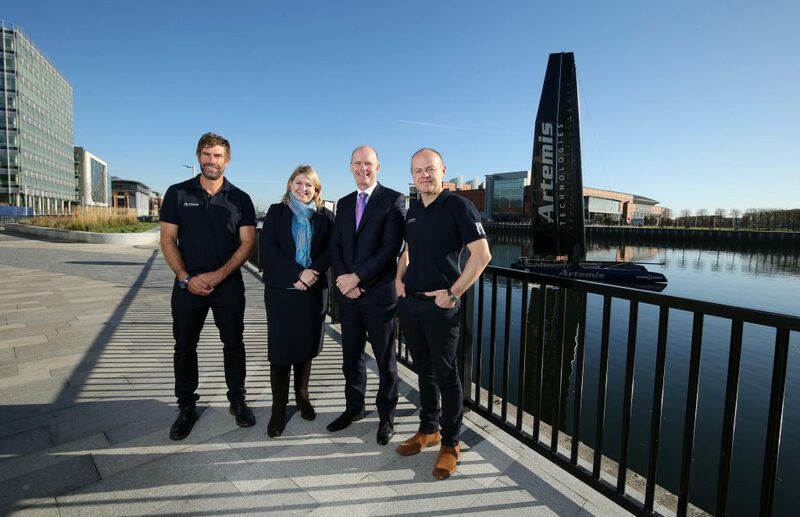 “Building on Belfast’s rich history of shipbuilding and combined with our current world-class expertise in technology and engineering, Artemis will collaborate with local universities and the aerospace sector to help kick-start a modern, shipbuilding resurgence in the city. “Artemis represents another diverse addition to the 700-plus firms already within the Harbour Estate. This growing community offers high-calibre employment and opportunities which are critical for the economic wellbeing of both Belfast and Northern Ireland as a whole. “I’d like to welcome Artemis Technologies to Belfast – its vision for green innovative growth will, I am certain, capture the imagination of all our citizens. I’m delighted to see further investment that brings jobs creation and a boost to the local economy.